Review the contractor’s license record here. Please contact the ROC License Department with questions. Verify the person you are negotiating your project with is an authorized representative of the licensed contractor by calling the contractor’s number listed on the ROC license record. Ask for written estimates from at least three (3) contractors. Make sure a detailed list/description of the project, including the price, the responsibility to obtain building permits, and any other relevant terms, are spelled out in the estimate. DETAILS, DETAILS, DETAILS: Only sign a contract agreement WITH A PROPERLY LICENSED CONTRACTING PROFESSIONAL. Review the written estimate and reconcile it with your written contract prior to signing – make sure the costs match. Make sure a detailed list/description of every aspect of the project is included in the contract. Ensure the price, the responsibility of obtaining building permits, and any other relevant terms are spelled out in a written contract. Permits – Permits are the responsibility of the property owner. However, many contractors include the cost of obtaining and fees in the contract. HOA notification and approvals – A property owner is responsible for notifying the contractor of CCR restrictions, requirements, and construction policies before the signing of a contract. How does it increase/decrease your total project cost? How does it affect your project completion timeline? Make clear, in writing, any other relevant terms or considerations you wish to include in your agreement with the properly licensed contracting professional. Never make a hurried decision. – REMEMBER – IF YOU AND THE CONTRACTOR DO NOT INTERPRET THE WRITTEN DOCUMENTS THE SAME WAY……DISPUTES ARE TO BE EXPECTED. NOTE: Special order materials, permits, and fees may need to be paid-for in advance. Just because the ad says it does NOT mean it's true! 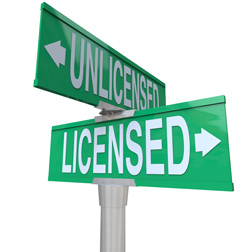 An unlicensed entity may be a company or individual. To be a contractor in Arizona, an entity must be licensed. To be licensed, an entity must possess a bond; among other requirements. With the exception of workman's compensation insurance, the ROC does not require an entity to possess insurance to be licensed. Many complaints about unlicensed entities are received where the home or business owner believed they had contracted with a Licensed, Bonded and Insured contractor, but they had not. The ads that appear in the yellow pages are not regulated by the publisher, and should be considered accurate only about the name of the company or individual and the phone number to call. The only sure way of knowing that your contractor is licensed is to call the Registrar of Contractors to confirm it or by checking, here. With the technology available today, the local phone number you think you are calling may be being answered by a telemarketer in some other state. Such operations may not even be licensed in Arizona, and you might be paying thousands of dollars down on work that will never be performed or completed. The work is intended for occupancy solely by the owner and is not intended for occupancy by the public, by employees or business visitors. The structure or appurtenances are not intended for sale or rent for a period of at least one year from the date of completion or issuance of a certificate of occupancy. This section of the statute is intended to ensure that potential buyers, renters, employees or business visitors to a premise are not put in jeopardy. In such situations where the structures or appurtenances will be utilized by or open to the public, their health, welfare and public safety must be protected, and licensed contractors must be utilized to complete the project. Also, you must keep in mind that you are still subject to compliance with local permit and building code requirements. Homeowner Associations may also place restrictions on what you may build, and how it can be constructed in accordance with your Covenants, Conditions & Restrictions, (CC&R's). Hiring a licensed contracting professional offers many additional protections to the property owner, especially regarding residential property. First, a contractor cannot obtain a license without possessing a minimum amount of experience and must pass a business management test. The applicant is also subjected to a criminal history background check, may be required to take a trade examination, and must not have any unresolved contracting complaints outstanding. Should you experience problems with a licensed contractor, you as a residential property owner have significant protections not available to persons utilizing an unlicensed entity. Among them, is the ability to file a complaint against the contractor's license within a two-year period from the date of occupancy or date the last work was performed. This is the Agency's jurisdiction period should the workmanship be below standard or in violation of existing codes. Under certain conditions, you may also be eligible to apply to the Registrar's Residential Contractors' Recovery Fund and depending on the cost of damages receive up to $30,000 to have the work corrected or completed. 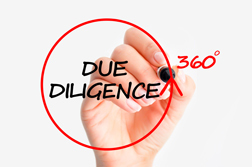 Each residential contracting license is covered for up to $200,000.00 to a maximum of $30,000.00 per residential property owner, on a pro rata basis upon filing a complete claim. Keeping detailed records of your contract, checks or other forms of payment will speed the processing of your claim, should the need arise. For more detailed information, contact the Residential Contractors' Recovery Fund Monday through Friday during regular business hours at (602) 542-1525 or from elsewhere in the state at 877-MY AZROC (877-692-9762), toll free. These protections are in addition to other remedies available through the courts. If you believe you may have been scammed, contact the Registrar of Contractors (Phoenix Office) at (602) 542-1525 and / or your local law enforcement agency. On a continuous basis, the Arizona Registrar of Contractors receives information and reports from victims pertaining to traveler activity throughout Arizona. Travelers and other unlicensed entities target and solicit work from residents and perform bogus or inferior construction services at inflated prices. Typical reports involve asphalt paving and repair of driveways and parking lots, painting, or roofing repair. Business owners and homeowners have lost thousands of dollars in bogus repairs. Members of the travelers organization target the elderly, promise quality workmanship and possibly a 20 year written guarantee. The final results, however, usually prove to be inferior construction services at increased costs for the consumers. Although travelers and other similar groups offer to provide a variety of home improvement services, the most notable trades again include painting, roofing and asphalt paving services. The method of operation is the door-to-door solicitation, usually offering low costs and may including utilizing left over materials. Always hire a properly licensed contracting professional. Always do your homework before hiring a contractor; telephone the registrar of contractors office to ensure the contractor is licensed.